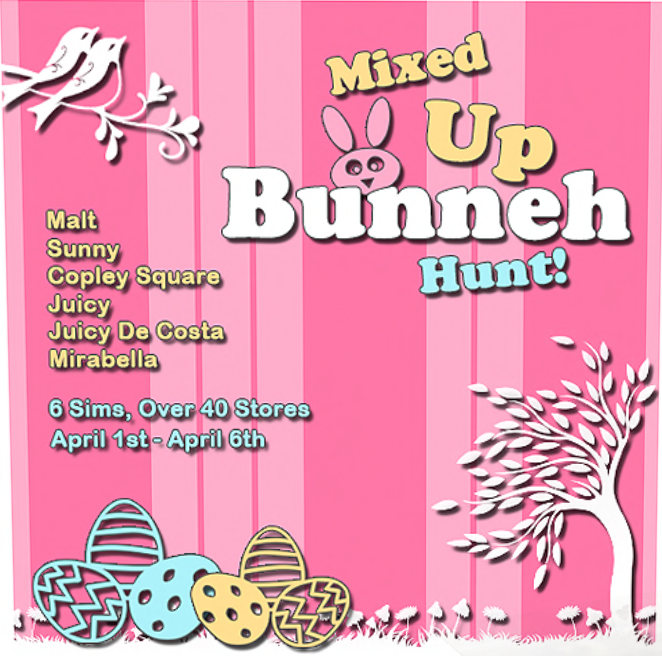 « (MB) CreationZ – Easter Hunt!! *When you click the hidden egg, a folder with a smaller Egg (attaches to right hand) and a LM to the corresponding basket will given to you. **Wear the Egg and return to the Basket. Click the Basket for your Prize! ***All Baskets and their corresponding Eggs will be located on the same Sim. For example, the Hidden Egg for (Elate!) will be found on the same sim that (Elate!) is located. Any questions or concerns, please contact BellaStarr Fhang via IM and NC.